At a time when a culture clash was occurring in New York City, Cover Magazine became an epicenter for the arts, promising to “to cover all the arts in every issue.” At the forefront of the magazine’s 14 year reign of success was poet Jeffrey Cyphers Wright, who edited each monthly issue of the magazine. The magazine provided a vast music library, alongside covering topics such as film, sculpture, dance, photography and visual arts. 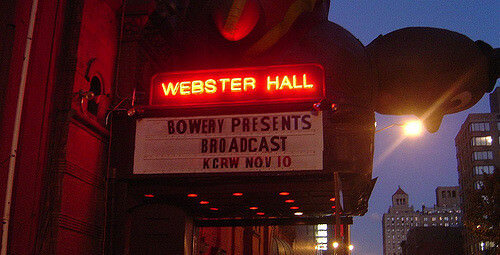 Outside of cultivating a magazine, Cover Magazine put on town halls, interviews, runway shows and concerts at famous venues such as Webster Hall on 11th street, which is now closed. The legacy of the magazine lives on as, despite it shutting up shop at the turn of the millennium, as many of the writers on the staff took leaps, now contributing to journals and publications such as the Rolling Stone or CNN, continuing “to cover all the arts” in their modern endeavors. Despite the magazine being New York based, a lot of what I witnessed through the magazine’s features revolved around artists prior to them entering their primes. In a city wherein fame and notoriety are so prominent amongst those who possess it and those who want it, Cover Magazine was able to tap its niche audience, placing themselves at the forefront of the market of aspiring artists - the up and coming stars. Beginning his career in 1985, a year prior to the magazine starting, one of Cover’s biggest features was that of Steve Buscemi, the award winning actor. Now known for his work on The Sopranos and Boardwalk Empire, Buscemi’s feature revolves around his work in the film “Slaves of New York,” a comedy that tracks the lives of struggling New York City artists - fitting for the theme of the magazine and its audience as a whole. Examples such as the timeliness of Buscemi’s “Slaves of New York” exemplify the local nature of the publication as Cover Magazine attempted to tap a unique market in a fame driven city. Garnering access to artists such as Buscemi opened up the floodgates for starving artists to create a future - a future Cover Magazine likely played a role in. From Sarah McLachlan to William Burroughs, Cover Magazine built up artists not only through features, but through publicly hosted events wherein the arts were accessible to everyone. Promoting these events through flyers as well as individual invitations to targeted audiences, Cover Magazine proved to be at the forefront of a movement that was sweeping over New York in the late 1900s. Garnering photographers, artists and others involved, venues such as Webster Hall would regularly sell out to accommodate the events Wright and his magazine staff opted to execute on a regular basis. As time went on, Cover Magazine truly became the voice for up-and-coming artists in New York city, earning the magazine the nickname “The Underground National.” The magazine became famous for finding those artists lurking on the border of irrelevance and stardom and marketing both textually and through events affiliated by the magazine and its staff. Cover Magazine, in its short span of existence, became a voice for the starving artists in New York City. For Wright, Cover Magazine provided the framework for his next venture, “Live Mag!” which was founded on the basic idea of going past just print journalism. Wright used the blueprint that made Cover Magazine successful and brought it to his new publication, as used live performance, digital media as well as a print component to publicize the work of poets and promote culture in yet another venture he undertook. In an era in which New York was undergoing change as gentrification began to set in, Cover Magazine covered those that New York wished too do away with; the struggling artist. Despite being pushed to outer boroughs or even out of the city as whole, Cover Magazine took the stories and made them more than just an article, pushing the envelope for what we perceive to be a heap of modern stars. Cover Magazine was not only ahead of its time, but a representation of what we, as viewers, have become accustomed to associating New York as gritty people willing to work their way from the bottom to top. In some ways, Cover Magazine is an embodiment of New York culture as a whole.